Metrologic MS2122 StratosE - Sub-compact size, scanner only USB kit. Includes USB cable, power supply, & diamonex glass. 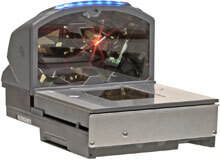 The smallest 6-sided bioptic scanner in the market. 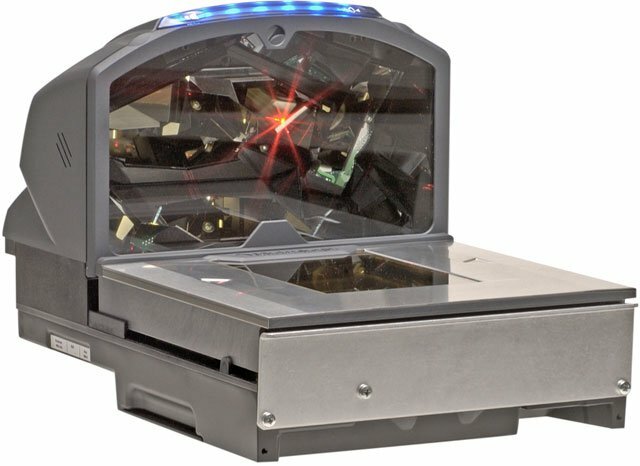 The Metrologic MS2122 StratosE is the most compact 6-sided scanner in the market and perfectly suited for space constrained POS applications demanding high throughput 6-sided scanning. It is designed to allow easy integration into most of today's seated and standing checkout environments. The MS2122 StratosE features a powered RS-232 auxiliary port for integration of a handheld barcode scanner, flash ROM firmware upgrade capability, MetroSet 2 PC-based configuring and sapphire or diamonex based horizontal glass. The Metrologic MK2122ND-60B138 is also known as Metrologic Instruments	MET-MK2122ND60B138	or MK2122ND60B138	.